Professor Sally Wheeler, OBE MRIA FAcSS is the Dean of ANU College of Law. Prior to taking up this position she was a Professor and Pro-Vice Chancellor for Research and Enterprise at Queen's University Belfast. Professor Wheeler was elected to the Academy of Social Sciences and the Royal Irish Academy in 2011 and 2013, respectively. She was the Head of the School of Law at Queen's University Belfast for several years where she also served as Interim Dean of the Faculty of Arts Humanities and Social Sciences (AHSS), Dean of Internationalisation (AHSS) and, in 2017, Pro-Vice Chancellor for Research and Enterprise. Professor Wheeler is the author or co-author of several books on corporate governance, over 70 articles or book chapters, and she has edited or co-edited nine other books. 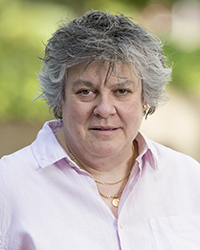 Professor Wheeler has given major addresses and led workshops around the world, and has also been cited as "one of the world’s leading experts" on the governance of pensions. In the 2017 New Years Honours list, Professor Wheeler was awarded an OBE for services to higher education in Northern Ireland. The 2018 ANU Jessup mooting team succeeded in reaching the quarter-finals before they were defeated on Friday afternoon. The ANU College of Law hosts its annual Prizes Ceremony which acknowledges the achievements of our students and the contribution and support of our donors.